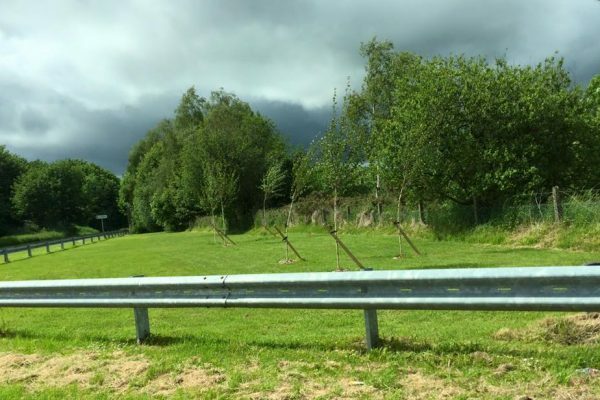 The planting of native trees in the hedgerows leading to the village will complement those already there and to some degree, through time, return the main route to its original appearance. They will also enhance the local environment in a predominantly rural area and screen the motorway from the village. We purchased 20 oak and beech trees and these were planted on either side of Parkgate Road during December. We are indebted to Mr John Minford for allowing us to position the trees in his hedgerow and for his assistance during planting.